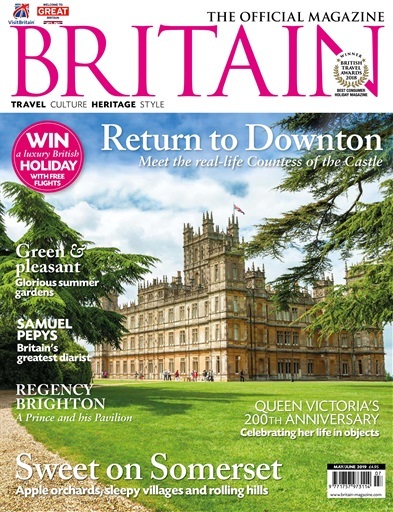 (2 Customer Reviews) | Write Review 6 issues per year If you enjoy finding out more about our country’s rich history, then you’ll love BRITAIN magazine – the official magazine for Visit Britain. Learn more about our kings and queens, heroes and villains, castles and cathedrals, stately homes and gardens, countryside and coastline… and much more besides. Each issue is packed with features that showcase Britain at her best – and is full of ideas on where to go, what to see and where to stay. 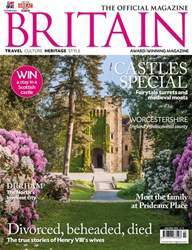 A copy of BRITAIN magazine makes the perfect companion whether you like to travel the highways and byways by train, coach or car – or simply prefer to explore our glorious country from the comfort of your own armchair! Looking for Britain in print? Unfortunately pocketmags.com does not sell print copies of Britain, but all is not lost. Our partner at magazine.co.uk sells print subscriptions at the best prices online. 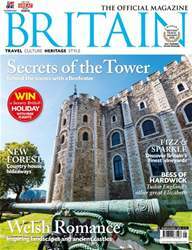 If you enjoy finding out more about our country’s rich history, then you’ll love BRITAIN magazine – the official magazine for Visit Britain. You'll receive 6 issues during a 1 year Britain magazine subscription. 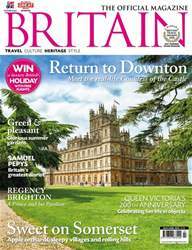 Great Mag for Exploring Britain - ideal for all those who love travelling to and / or around the British Isles. You'll receive 6 issues during a 1 year Britain magazine print subscription.